On 23 May 2014, Sinar College went to Gabungan pelajar Melayu Semenanjung (GPMS) headquarter as we were invited by them for a meeting. We were welcomed by the Vice President of GPMS, En. Alif Anas and several of top committee members. GPMS plan for SPM motivational talk & tour in 60 schools nationwide and offer to us to participate in the national roadshow. We then discuss the details of our collaboration. 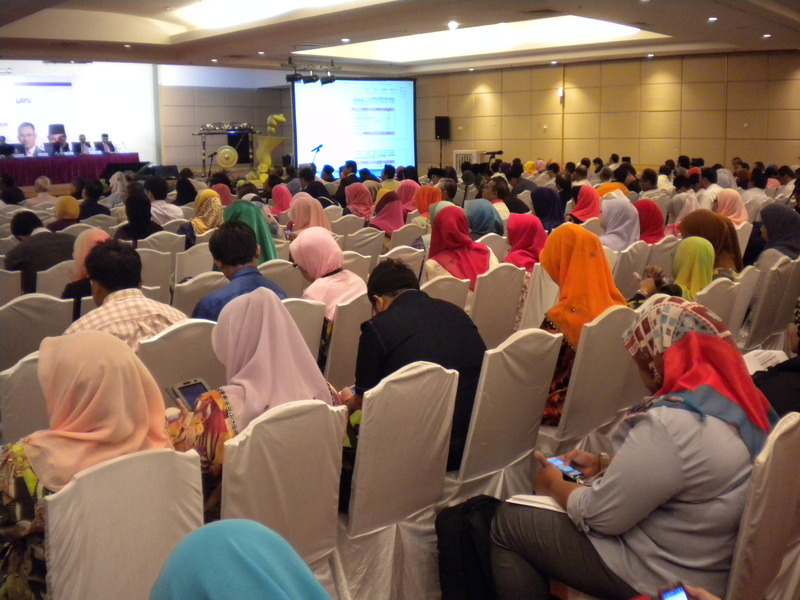 On 19 and 20 May 2014, Sinar College had attended Economic Empowerment Seminar organized by Melaka state government at MITC Melaka. The goal of the seminar is discuss and inform economic participants in Melaka on ways to solve problems and improve economic situation of people in Melaka. The seminar was officiated by Setiausaha Kerajaan Negeri Melaka and Exco Pertanian & Keusahawanan Negreri Melaka, Datuk Hassan Ahmad. It then was subsequently followed 9 separate workshops, namely, manufacturing, agriculture, small & medium businesses, entrepreneurship, education, finance, globalization, as well as two which were very related to the college that are education and tourism. We took the opportunity to express our concern and problem we face in our business. We also took the chance to make the college known and promote our courses to other participants. 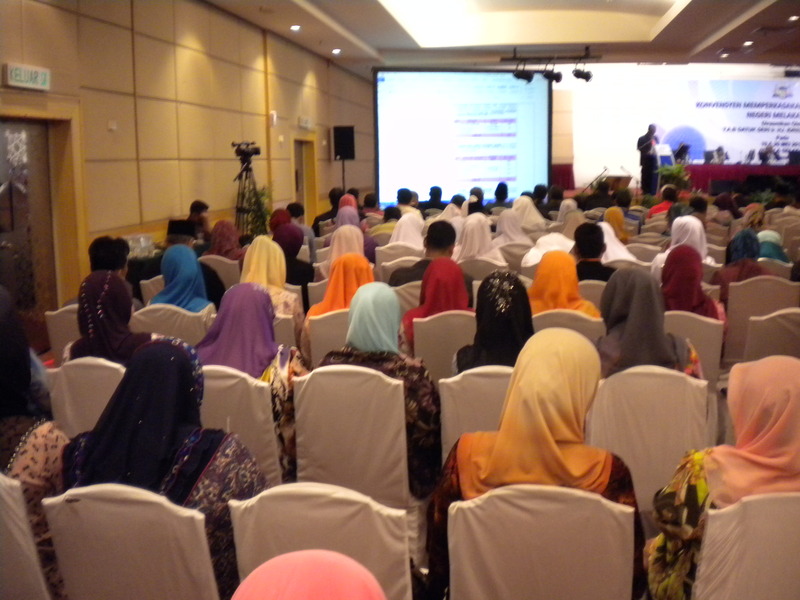 The seminar was ended with the speech from the Chief Minister, Datuk Wira Ir. Idris Haron. 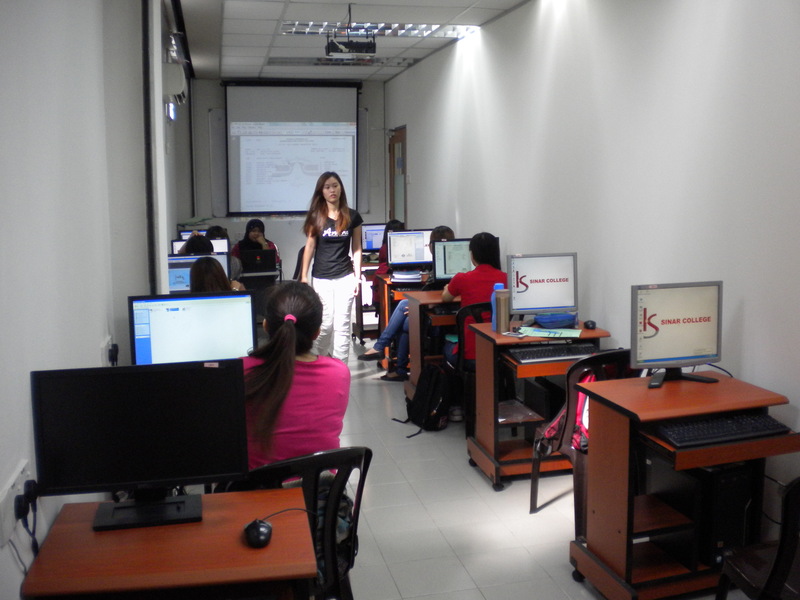 On 14 May 2014, Kolej Sinar as the only GOLD status Approved Learning Partner for The Association of Chartered Certified Accountants (ACCA) in Melaka, Negeri Sembilan and Johor, has conducted ACCA Student Membership Day for its Certified Accounting Technician (CAT) students. To qualify a student for ACCA examination, the student must register as a student member of ACCA besides initial registration with Sinar College, the education provider. ACCA student registration can only be done online in ACCA official website. In the ACCA website, a student must key in all personal details and upload photos and documents in correct format before each is given with specific registration number. 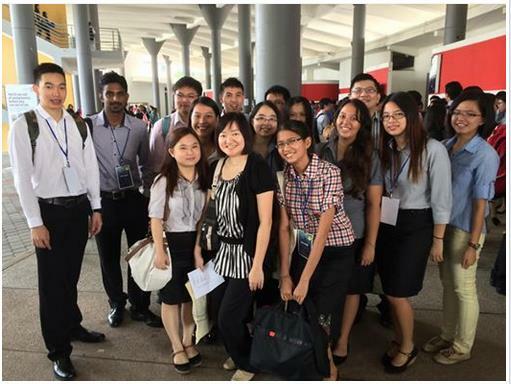 For mature students who attend ACCA Fundamental & Profesional papers classes at the college, we often assist the students individually in registration as ACCA student members. For CAT students, as part of our quality student support, we hold a special day for all the CAT students to attend and guide them step by step on ACCA online registration. We do this at the Computer Room which we usually hold CAT Computer Based Exam. 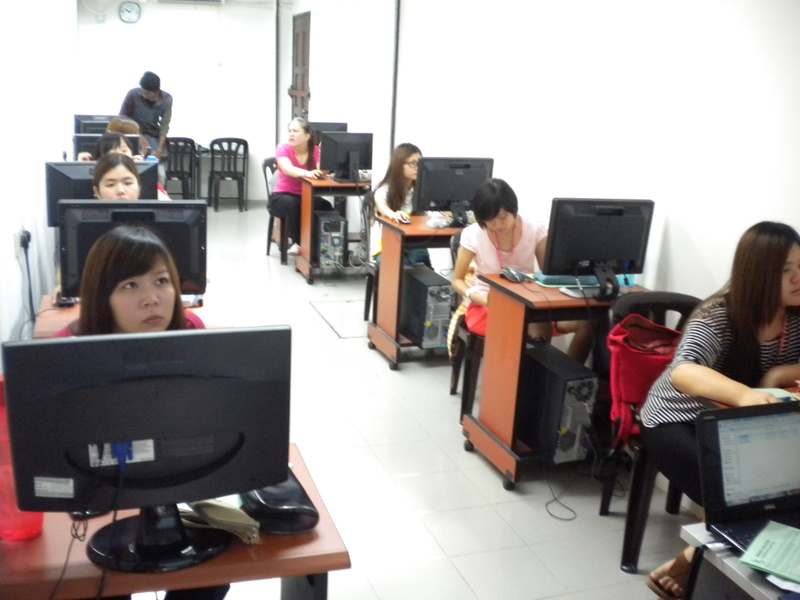 On 7 May 2014, Kolej Sinar held an open day for community in Melaka. We had preview and explanation about all the courses which we offer. We started with introduction about Sinar College and its facilities. Then, as the only GOLD status Approved Learning Partner in Melaka, Negeri Sembilan & Johor, we explained in detail about The Association of Chartered Certified Accountants (ACCA) and Certified Accountants Technician (CAT) courses in the subsequent session. We then did a lengthy preview on Tourist Guide Course before additional preview about University of Malaya Centre of Continuing Education (UMccEd) Diploma, SAGE UBS courses, and Sinar College’s Diploma in Accounting & Diploma in Business Administration. On 30 April 2014, Kolej Sinar was again on air at Melaka FM, to talk on tourist guide career. 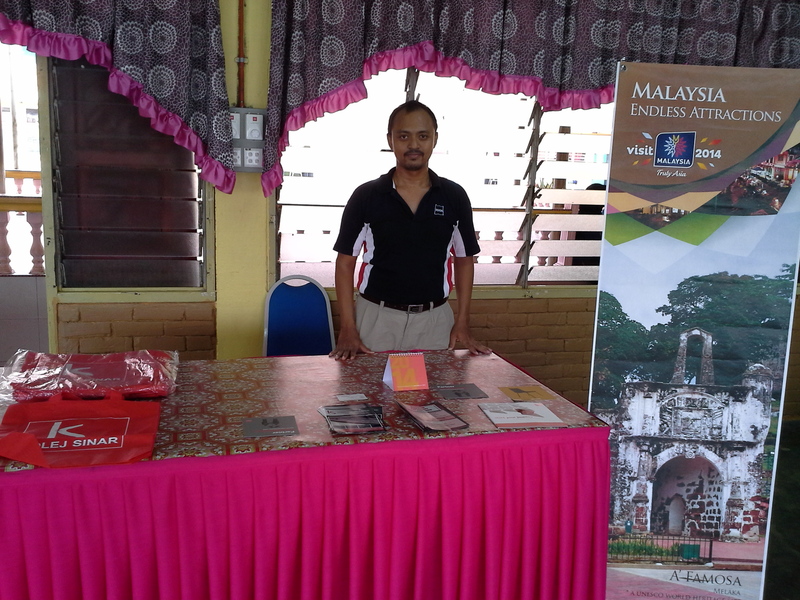 Lecturer, Alif who spoke on behalf of the college, also took the opportunity to promote Sinar College and its tourist guide course. 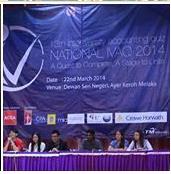 On 23 March 2014, 12th Inter-Varsity Accounting Quiz was held at Multimedia University, Bukit Beruang. Inter Varsity Accounting Quiz was accounting based competition between all universities and colleges nation-wide which is organized every year. This year’s competition, with the slogan, “Inquire, Inspire and Innovate”, was co-organized by Malaysian Institute of Accountants (MIA) and sponsored by CPA Australia (Certified Practicing Accountants). CPA is one of three professional accounting bodies in Australia. Sinar College sponsored also this national level event together with other reputable organizations such as Association of Chartered Certified Accountants (ACCA), the largest accounting body in the world, one of the largest accounting firm – Price Waterhouse Coopers, Sunway TES, Institute of Chartered Accountants in England & Wales (ICAEW), Cheng & Co Chartered Accountants, Axis Eyewear and BDO. For 2014’s event, many private and public universities participated and the organizer had to reduce the participants through preliminary rounds which all universities had to sit for paper tests. Kolej Sinar survived the preliminary stages. Sinar College students performed remarkably by qualifying into Semi-Final and compete with the likes of Sunway College and Multimedia University. On 30 April 2014, Sekolah Menengah Kebangsaan Tun Mutahir, Batu Berendam organized an education fair during its Minggu Kerjaya. The event, participated by more than 20 colleges and 500 students, was part of the school’s Unit Bimbingan & Kaunseling’s effort to increase the students’ awareness on career and higher education. Sinar College, as the school’s close partner, was personally invited to set up booth to promote our courses. It started at 09.00 am and ended at 01.30 pm.